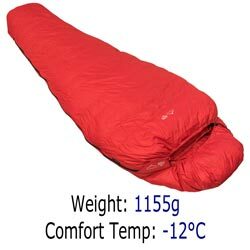 When you are participating in winter alpinism or mountaineering the temperature will be very low due the winter conditions and your increased elevation. 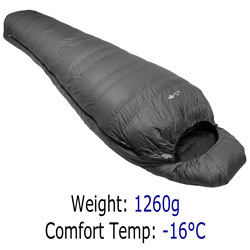 You are likely to be climbing with your kit, so a good warmth to weight ratio is essential. 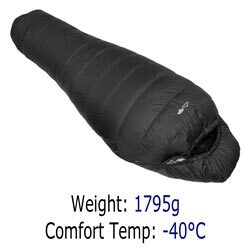 A small pack size is also important since it may mean that you can use a smaller rucksack, giving your arms more freedom of movement for climbing. Our sleeping bags that are suitable for Winter Alpinism come from our Lady, Traveller, Prime and Expedition ranges. 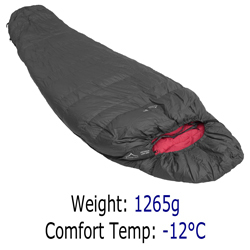 These sleeping bags have minimum comfort temperatures from -12°C to -40°C. 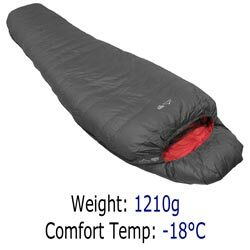 The best sleeping bag for you will depend upon how warm or cold it is likely to be when you are mountaineering and how cold you get when you sleep. 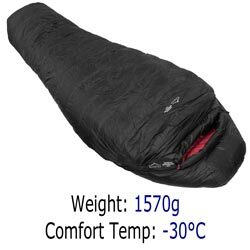 Comparison Table of down sleeping bag weights, comfort temperatures and pack sizes.